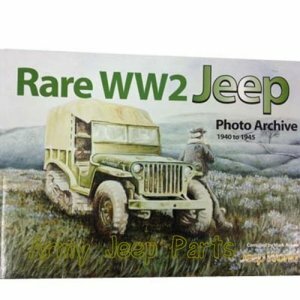 Rare WWII Jeep, A Photo Archive. Compiled by Mark Askew. 148 pages. This book chronicles the proto type models and unusal variants for the production MB/GPW's. Includes section on the Penguin 1/2 track jeep, lite weight models, Tugs etc. Interesting book all jeep lovers should have.